What we are seeing confirms that now is the time for the world to come together on cybersecurity. 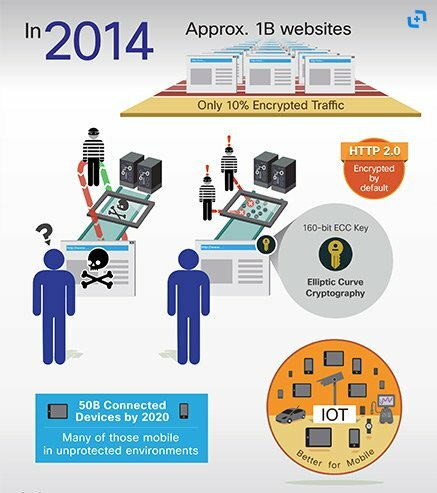 The technical community is actively creating solutions to secure network traffic. Patent filings show a compound annual growth rate (CAGR) of 12.3 percent from 2009 to 2013. The innovation boost, together with other factors, has led to an upsurge in encrypted network traffic. In the same period, the number of secured servers worldwide grew at a CAGR of 9.2 percent. This is a positive sign of advancement. 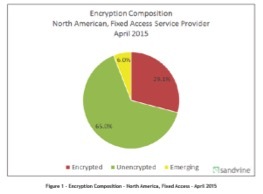 Encryption and information privacy are not converging into common practices, however. 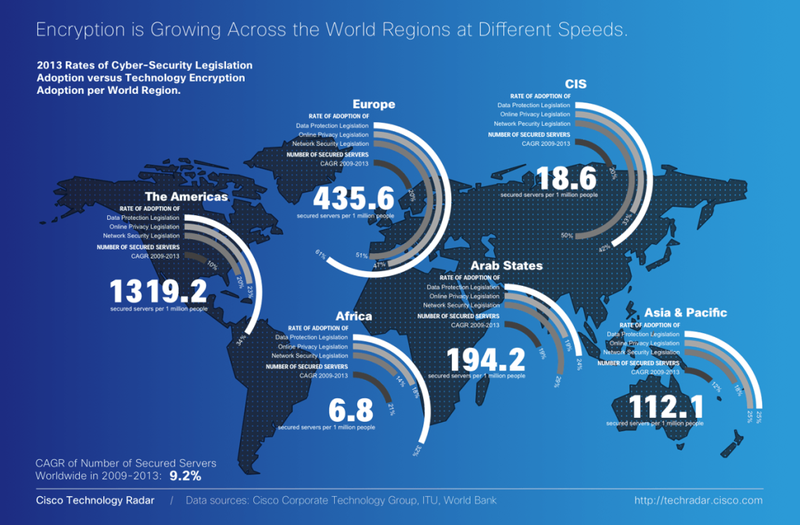 People, industries, and regions around the world confront the issue of cybersecurity in different ways. Ultimately, this varied approach could raise barriers to the free flow of information online. And the economic consequences could be severe: by 2016, the Internet economy in G-20 nations is expected to account for 5.3 percent of Gross Domestic Product. A global dialogue among all stakeholders, including governments, society, and the private sector, can help create agreement on how to secure the Internet economy. In the meantime, with the progress the IETF and other standards bodies are making, the future looks promising. Next-generation encryption efforts based on Elliptic Curve Cryptography (ECC) are promising. They provide the same level of encryption strength with shorter keys. The benefit is lower CPU consumption and low memory usage, two essential requirements for mobile devices such as sensors, actuators, controllers, and microcomputers, and the Internet of Things (IoT). The current share of encrypted traffic on the web is largely due to Google, Facebook and Twitter, which have all by now adopted HTTPS by default. Netflix: “Over the next year we’ll evolve from using HTTP to using Secure HTTP (HTTPS) while browsing and viewing content on our service.